Always check toy labels for recommended ages! Babies like primary colors, contrast, clear lines and features, simple design, and human features e.g. eyes. Infants 0 to 2 months enjoy seeing interesting things. 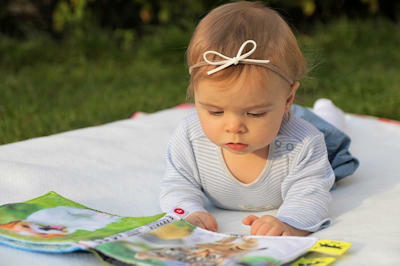 Infants 2 to 6 months enjoy touching, holding, batting, shaking, kicking, and mouthing objects. -Toys for watching is more interesting if they move and make noise; however movement should be slow and noise not loud or sudden. -Mouthable toys should have: no sharp points or edges; no small parts; no electrical parts; no toxic materials; no glass or brittle plastic; no long strings; or no parts that can entrap fingers, toes or hands. *Suspend 8 to 14 inches above eyes and move-up when infant can touch. Remove when baby can push up on hands and knees. Cloth dolls or animals -Watch for buttons and other small parts that baby may swallow. Must be light and sturdy. Hair must be molded not loose hair. No bean or pellet stuffing. Floor gym -Remove when baby can push up on hands and knees (about five months). Balls -clutch, soft squeeze, or textured -must be at least 1 3/4″. However, if any object can fit easy in infant’s mouth-keep it away from child. Squeeze toys with sound makers should be inside the toy. Infants 7-9 months like to poke; bang; insert; squeeze; drop; poke; shake; toss; bite; fill and empty; and open and shut objects.